In 1995, the D&AD published a book on the art of writing for advertising. 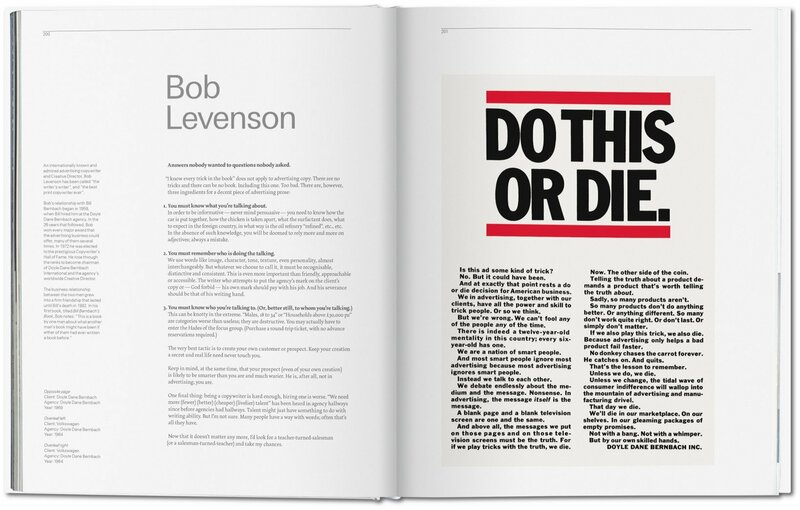 Though now outdated, the best-selling book remains an important reference work today—a bible for creative directors. 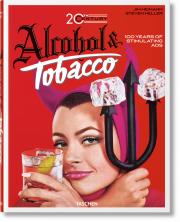 D&AD and TASCHEN have joined forces to bring you an updated and redesigned edition of the publication, including works from the last 15 years. 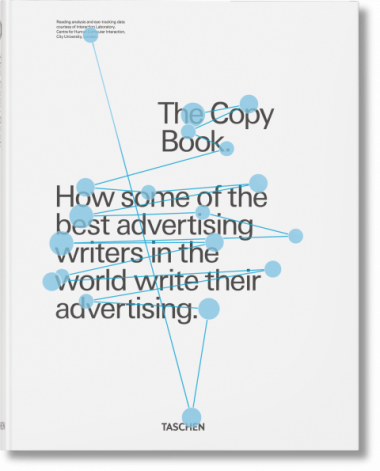 Regarded as the most challenging field in advertising, copywriting is usually left to the most talented professionals—often agency leaders or owners themselves. 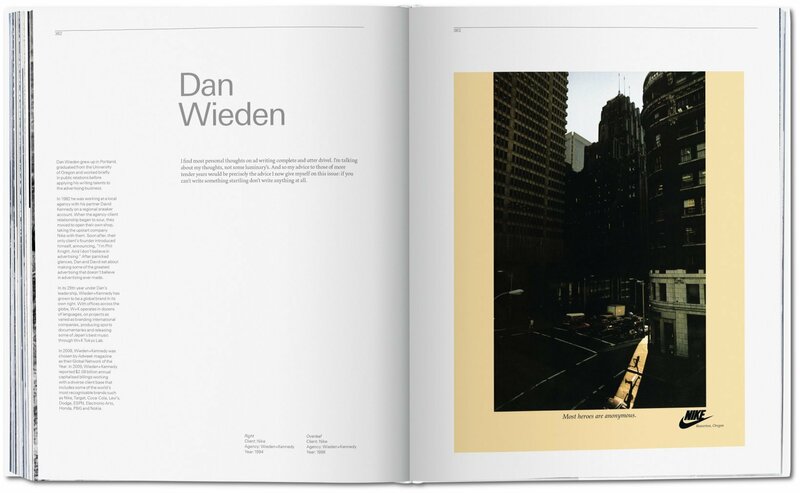 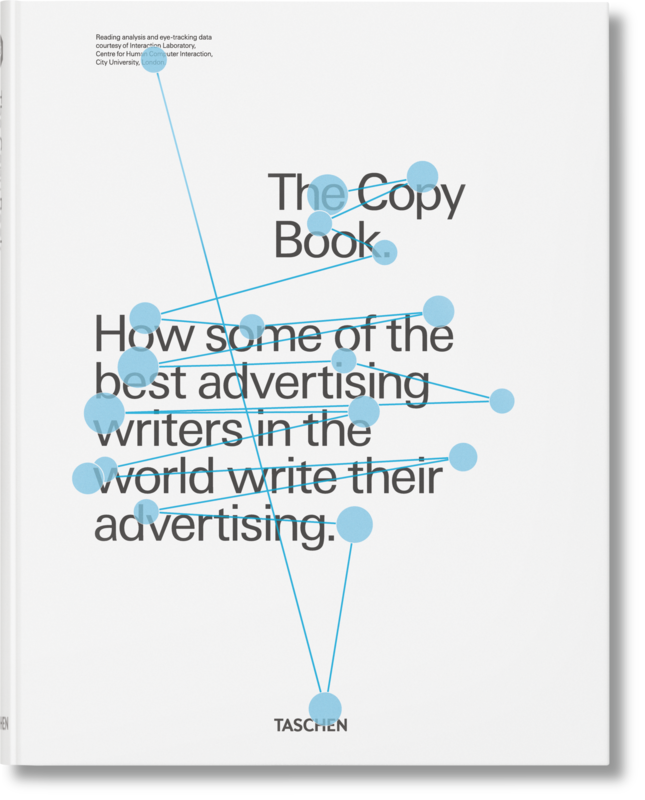 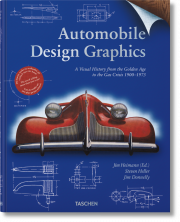 The book features a work selection and essays by 48 leading professionals in the world, including copywriting superstars such as David Abbott, Lionel Hunt, Steve Hayden, Dan Wieden, Neil French, Mike Lescarbeau, Adrian Holmes, and Barbara Nokes. 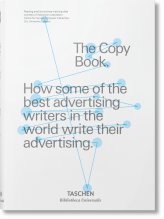 The lessons to be learned on these pages will help you create clearer and more persuasive arguments, whether you are writing an inspiring speech, an engaging web banner or a persuasive letter. 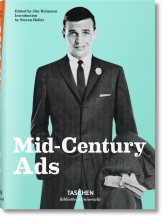 This is not simply a "must have" book for people in advertising and marketing, it is also a "should have" book for anyone who needs to involve or influence people, by webpage, on paper, or in person. D&AD is a nonprofit educational charity that was launched in 1962 by a group of London-based creative revolutionaries including David Bailey, Terence Donovan and Alan Fletcher, with iconic and legendary professionals on both its judging panels and winners lists. By celebrating creative communication and rewarding its practitioners, D&AD raises standards across the industry. 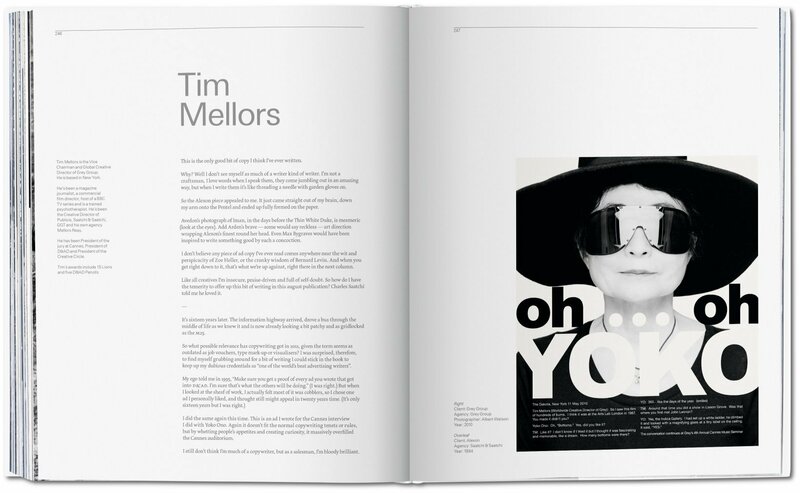 The annual D&AD Awards—the industry’s biggest and best—rewards outstanding creativity, originality, technical excellence and innovation in design and advertising. 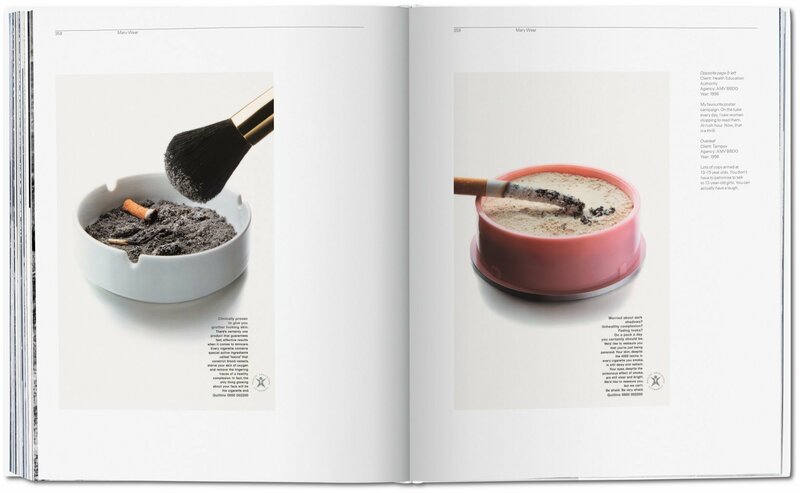 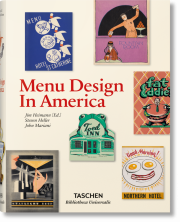 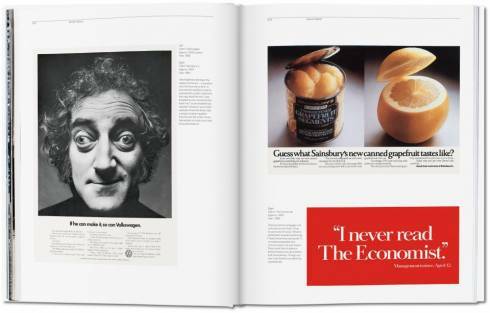 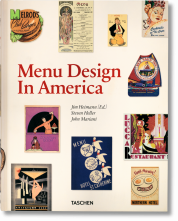 "The UK based D&AD has access to some of the world’s best advertising and advertising thinkers, and TASCHEN has a well founded reputation as one of the world’s best publishers. 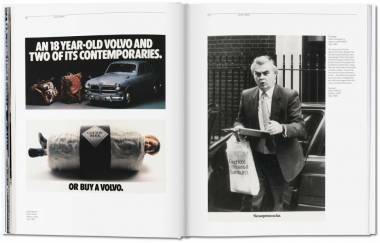 Put them together and you’ve got yourself a bloody good book about words that sell."